Intelligent Energy, the fuel cell engineering company, today signalled its long-term commitment to the industry with the appointment of David Woolhouse, as its new Chief Executive Officer. This appointment marks the continued investment from business owner Meditor to drive the business forward at this exciting time for the company and the wider industry. Intelligent Energy is a world leader in the provision of advanced, practical fuel cell products and works closely with its customers in the automotive, stationary power and UAV markets to integrate its lightweight, clean, power-dense technology into their systems. The appetite for clean power around the world is growing and Intelligent Energy is well placed to help its customers make the transition and meet their challenging power needs. David has 15 years’ experience in leading businesses in different engineering and manufacturing sectors, including electrical distribution and rail. 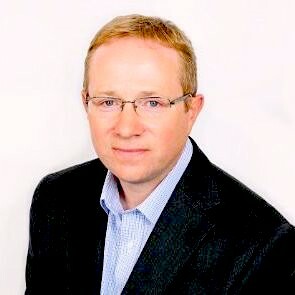 He has set up and led multi-site operations in the UK, Middle East and China. David joins us from Wabtec Rail, and has previously held Managing Director positions at Alstom and the Brush engineering group. He has experience in successfully growing complex engineering concerns with over 1000 employees. David holds an MA (Hons) in Electrical Engineering from Cambridge University and is a Chartered Electrical Engineer. He also has an MBA from Warwick University Business School.